No one is immune to the wreckage that a bad reputation can leave behind, not even major universities. UC Davis found this out when they set out to repair their reputation after students were pepper sprayed during a student protest in 2011. The school paid consultants around $175,000.00 to “scrub the Internet of negative online postings following the November 2011 pepper-spraying of students and to improve the reputations of both the university and Chancellor Linda P.B. Katehi” according to an article published by the Sacramento Bee. Turns out, pepper spray is very difficult to wash away. Especially when there is video of police officers using it on peaceful protestors. Searches for “UC Davis Pepper Spray” return 175,000 results. Instead of reducing mentions of the incident, news of their attempt to remove the mentions has caused news results to skyrocket. Probably not the results they were going for. What could the university have done to better reign this all in? For starters, probably not have it in writing that they wanted negative mentions removed from Google. For a school whose motto is “Let there be light,” trying to remove darker parts of their history doesn’t shine favorably upon the institution. Creating positive content to try and bury the negative mentions is always a good place to start. They could also face the issue head on, and put together a policy on how peaceful protests are handled. Optimizing for terms like “UC Davis Pepper Spray” so that users find out what the school is doing moving forward to prevent more incidents like this from happening in the future would garner a far more favorable reaction from people than trying to “scrub” all mentions from the Internet. The Internet is a very large place with a long memory. The likelihood of actually being able to remove the countless mentions, images, and video of the issue they’re trying to hide would be near impossible. In attempting to do so, they’re not only out nearly two hundred thousand dollars, but they’ve managed to shine an even bigger spotlight on the issue than there had previously been. Do you know the 6 HiPPOs that can ruin your company’s reputation? Oftentimes, the opinion of the big boss overrides the opinions of other staff members – regardless of knowledge or expertise in a particular topic. 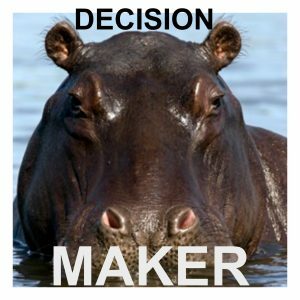 The HiPPO, or Highest Paid Person’s Opinion, can be detrimental to a businesses reputation if taken into account over all other information. Nearly everyone in the history of employment has fallen victim to the HiPPO attack. A perfectly planned product launch, client meeting, business expansion, whatever it may be, is right on track for success, and in storms the HiPPO. Before anyone realizes what is going on, those perfect plans are in a pile on the floor in order to make way for the new plan. The new plan is often brighter and shinier than the original plan, but it does not always end in success. You see, the problem with a HiPPO, is after many years of experience and success, regardless of how far removed from a department or specialization they may be, they’re used to being right. If not actually right, they’re used to being told they are right. Above The Law HiPPO – This HiPPO is so used to being in control of things in the workplace, that they begin to think that their power reaches beyond the company doors, and out into the world. They may bump stats on a product to make it look better to consumers, or maybe they cut corners with regulations in order to save some cash. Either way, they believe that they’re not going to be held accountable. 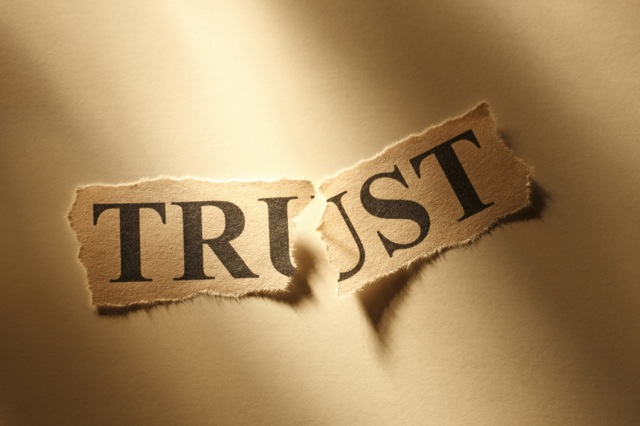 Unfortunately, what goes around always comes back around, and when it’s time for legal ramifications, the whole team suffers. Big Idea HiPPO – Though well-intentioned, they always think that their idea is the next big thing. Whether it’s a sales manager trying to push a contract through, or an IT manager trying to move the company forward technologically, they have tunnel vision for their big idea. Unfortunately, they rarely see how ramming their idea through will affect others within the organization. The Foot In Mouth HiPPO – While he or she may be well meaning, speaking without thinking is rarely without reputation consequence. They may use a slang word without knowing what it means, or offend a large group of people in an effort to be entertaining. This HiPPO may or may not offend intentionally, but when they do, it’s often loud. The Outright Jerk HiPPO – The Jerk HiPPO often drives a flashy car, shows up to the office an hour after everyone else, and expects everyone to stop what they’re doing and be at attention at the snap of a finger. As with the Above The Law, the Outright Jerk often forgets to tone it down for the outside world. Before you know it, the whole company is associated with this one Jerk’s attitude. The Jerk is often in the middle of a legal battle that is (obviously) not their fault, and has more than one nemesis. The Scandalous HiPPO – Adultery, driving under the influence, keeping questionable company, and of course, substance abuse. All of these behaviors are typically associated with the Scandalous HiPPO. One thing is for sure, when the big boss has a reputation for partying and hanging out with shady characters, trust in your organization plummets. The Control Freak HiPPO – They didn’t get to the top being lazy. The Control Freak has to have a hand, or two, in every aspect of operations. Unfortunately, the more success they achieve, the more aspects there are to keep tabs on. 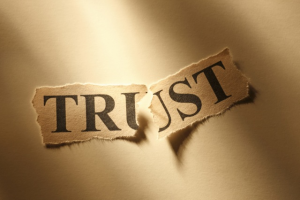 While people appreciate a leader who knows what’s going on, they tire quickly of feeling micromanaged and untrustworthy. Customers are not blind to these feelings, and will follow suit. These are a few of the better known reputation endangering HiPPOs, of course, there are many more. What can you do if you feel like your HiPPO is hurting their own brand’s reputation? First things first, you need to determine what kind of HiPPO you’re dealing with. If they generally care for the well-being of the organization and the people involved, you’re going to have far more success than you will with someone who’s heart isn’t in it. If you can get through to them, be prepared to present the facts, with a plan for moving forward. Often, being able to show someone why something may not work – or why something else may work better – works better than arguing. Appealing to the boss’ analytic side will also help avoid hurting feelings. Unfortunately, not all HiPPOs have the organization’s best interests at heart. If they’re not interested in protecting the well-being of the company, you may be better off finding an organization with a leader who is, unless you’re prepared to go down with the ship. Are there any other examples of HiPPOs you’ve dealt with? 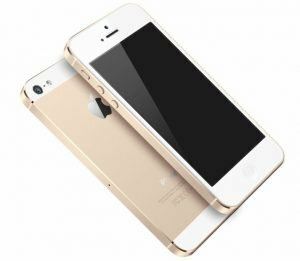 The battle going on between Apple and the United States Department of Justice that started over the locked iPhone belonging to the deceased terrorist in the San Bernardino shootings is getting a lot of attention lately. Though Apple did comply and unlock the phone, they refused to program a backdoor into iOS that would allow government access to password protected Apple devices. Though they’ve been sparring back and forth, the Justice Department has issued the most recent jab, saying that Apple’s refusal to comply with their requests to unlock as many as a dozen more iPhones throughout the country is a “reputation and marketing strategy,” and that they’re using the press to garner user support. Apple continues to refuse, citing user privacy as their main reason for denying the government’s request. Whether it’s intentional or not, the DOJ is right about one thing, Apple is seeing the marketing and reputation benefits from this. Why? Most likely, because users are seeing the big corporation stand up for the little guy, and they like feeling like someone is going to bat for them. Especially in a situation where it would be much easier, and far less expensive, for Apple to just quietly comply with the Department of Justice’s requests. In previous cases, Apple has provided access to devices for court cases. However, the newest releases of iOS have stronger encryption, and Apple no longer stores the data. Because of this, Apple cannot access data on updated devices without putting the security of their users at risk. While there has been a lot of discussion about the case, not all of it has been positive. Some citizens do think that Apple should hand over any data requested if it would help catch the bad guys. After all, if you’re not doing anything wrong, what do you have to hide? Unfortunately, that’s a hard line to draw when you’re discussing violating people’s privacy. Many do not trust the government with that level of responsibility, especially when it comes to the personal information that they’re storing on their phones. Though there has been much debate about which side is right, it seems that most people respect Apple’s stand to protect the privacy of their users. Whether they’re doing this for a positive spin on their reputation or not, it appears as though they’re getting it. The Environmental Protection Agency has announced that Susan Hedman, the Flint, Michigan Regional Administrator will be stepping down as of February 1. They’re assuring residents that the agency will continue focusing on the restoration of the city’s drinking water as a top priority, though local residents aren’t convinced. The city of Flint has been having ongoing issues with their water as far back as June of 2015. Flint Mayor Dayne Walling contacted Hedman at that time requesting assistance for alarming levels of lead in the city’s drinking water. She essentially told him via email that he shouldn’t have been privy to the report showing the increased lead levels, and that another agency would follow up with the city when a proposed solution became available. In addition to her less than enthusiastic response regarding assisting the city, Hedman was also in hot water for allegedly retaliating against employees who were involved in investigating sexual harassment cases. She submitted her resignation one day after Mayor Walling released over 250 pages of emails relating to the city’s water crisis. The emails were shared in an attempt to shift the focus of angry citizens from Walling’s desk over to the local EPA office. Unfortunately for him, it hasn’t done much to calm that ever-growing angry mob demanding Walling step down from his position as mayor. Not only has sharing of the emails not magically restored the mayor’s reputation, they have shed light on concerns about the continually increasing toxic lead levels in the city’s drinking water. In typical political fashion, the emails also show the buck has being passed around between city and state government, as no one wants to take responsibility for the ongoing issue and the accompanying reputation damage. Famous environmental activist Erin Brockovich has even stepped in, and told CNN that she feels that the governor of the state of Michigan should be held responsible for the ongoing water crisis. “We gave them a protocol a year ago as well on exactly how to avoid this disaster, and they did not want to listen,” Brockovich told CNN. The combination of a total lack of ownership and transparency throughout this ever-worsening crisis has not only enraged citizens, but it has completely destroyed any trust they had in their local and national government agencies. What can the EPA do to recover from this one? For starters, they’re going to have to stop emailing excuses, and start working on a solution to the water crisis. Providing a temporary solution while they fix the community’s water would be a great start. Next, they’re going to have to take some ownership. Getting out there and letting the people know that this was a horrible oversight, and then telling them how it will be remedied will go a long way with the public. People don’t like to be left in the dark, and information shows them that steps are being taken to resolve the problem. Actually fixing the problem instead of hoping it will fade away as the public gets bored with the headlines would also be good for them. This is not going to be an easy reputation crisis to recover from. Many people overlooked a very big problem, and that problem is causing major health concerns for an entire community. The EPA and the Michigan government have a lot of making up to do in order to set things straight with the people of Flint. Although $28 million in emergency funds have recently been approved, many feel that the effort is too little, too late. At this point, the question is not if there will be additional political fallout from the mishandling of this crisis, but instead we’re left wondering just how far reaching it will be before the issue is resolved. Unfortunately, the citizens of Flint will suffer the most. How important is it to be the default place that iPhone users go to find information online? Apparently a billion dollars important, if you’re a mega search giant. 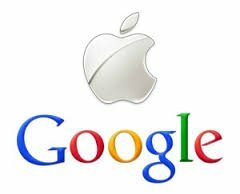 Google allegedly paid one of their largest competitors handsomely for the privilege of being the default search engine on Apple’s mobile devices in 2014, according to Bloomberg. The information was found in a court transcript from the long and drawn-out copyright lawsuit that Oracle has against the search engine. An Oracle attorney explained that the payout was part of a revenue-sharing agreement between Google and Oracle that gives Apple a portion of the revenue Google earns via Apple’s devices. While Google’s Android operating system powers the majority of mobile devices currently on the market, this deal shows the power of getting their product in front of as many eyes as possible, regardless of who they have to share their profits with in order to do so. The revenue sharing agreement between the two companies shows the value and importance of partnerships in growing and maintaining a great reputation. If Google’s search engine is even on it’s biggest competitor’s devices, it must be the best, right? There’s a lot to be said for the value of being in the hands of billions of people – even if it means you have to pay the competition to get there. Knowing who to associate with and where to be are two key elements in growing influence and enhancing a successful reputation. Bloomberg reported that not everyone is happy about the disclosure of this deal. A Google witnesses statement claiming a 34% revenue share at one point in time was immediately objected to by the search engine’s attorneys, and it was requested that the statement be stricken from the record. After the judge denied the request, representatives for both companies filed requests through the court requesting the sealing and redacting of the transcript. According to Bloomberg, the transcript vanished shortly thereafter. Apparently, the importance of search is very mysterious business.